Mardi Gras is Tuesday. We usually celebrate at home with a cajun themed meal. 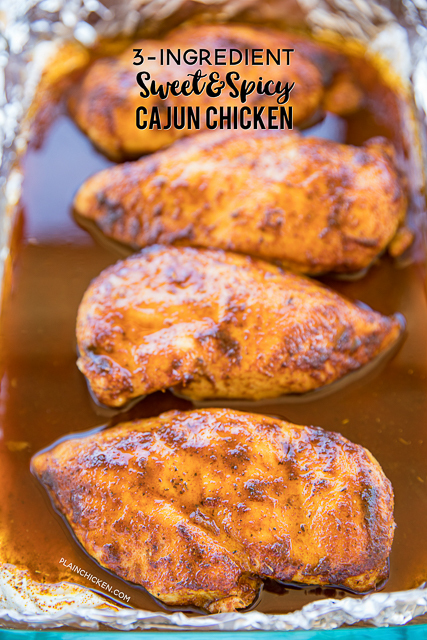 This year we are having some dirty rice and this easy 3-Ingredient Sweet and Spicy Cajun Chicken. Y'all this chicken is stupid easy to make and it tastes GREAT!!! There is NO liquid in this recipe. 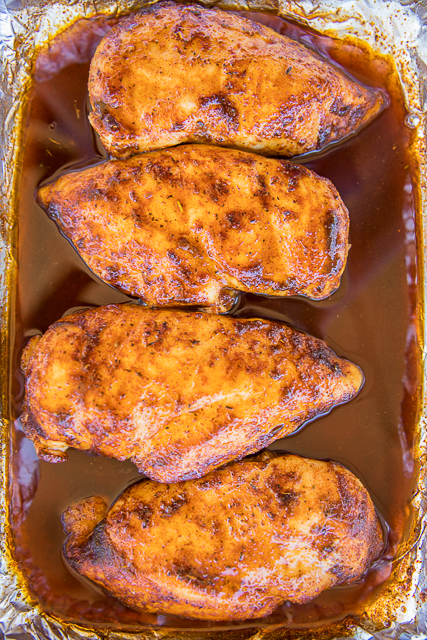 Just the three ingredients - chicken, brown sugar and cajun seasoning. The chicken makes the liquid in the pan as it cooks. I recommend lining your pan with aluminum foil for easy clean up. It isn't required for the recipe, but it just helps keep all that stubborn caramelized sugar from ruining your pan. 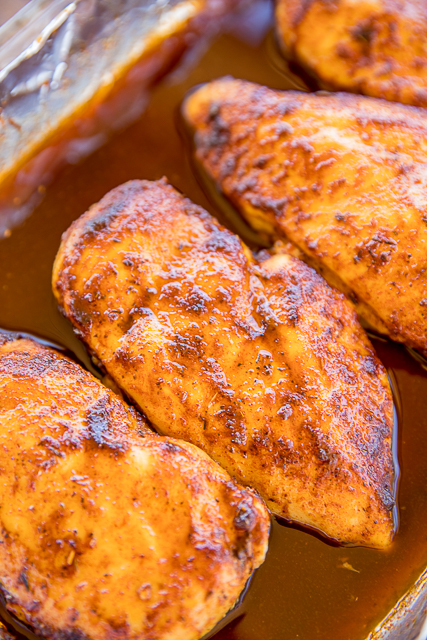 Serve this chicken with some cajun dirty rice, white or brown rice or even some mashed potatoes. I like to serve these Creole Green Beans with the chicken and rice. The beans are super easy and are ready when the chicken comes out of the oven. Don't forget the King Cake for dessert!! Preheat oven to 425 degrees. Line a 9x13-inch baking pan with aluminum foil. Combine the brown sugar and Creole/Cajun Seasoning. Coat both sides of the chicken with the brown sugar mixture. Place in prepared pan. Top chicken with any remaining brown sugar mixture. Bake for 20 to 25 minutes. Turn broiler on HIGH. 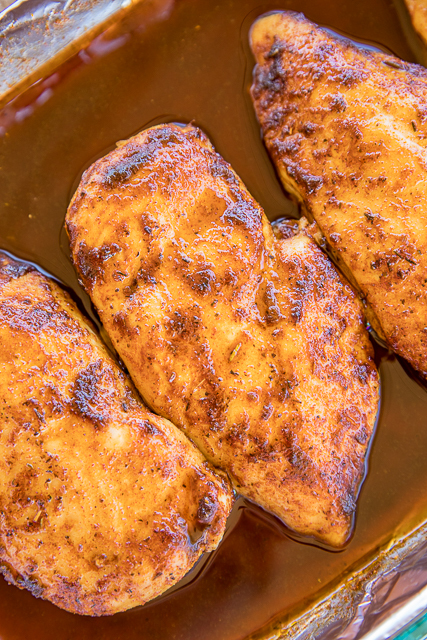 Broil chicken until brown sugar caramelizes, about 1 to 2 minutes. Watch it carefully so it doesn't burn!